Welcome to Susquehanna Conference Committee of Native American Ministries. The Susquehanna Conference Committee on Native American Ministries (CONAM) seeks to advocate for ministry with and by Native Americans and educate all. So that we can make disciples for Jesus Christ for the transformation of the world. Every local church at charge conference shall designate by nomination and election a minimum of one person per charge (without regard to race or ethnic origin) or a designated member of an established church committee to represent the need for better awareness of Native American contributions in the local church. These names are to be submitted to the District Superintendent at charge conference and given to the annual conference committee on Native American ministry" (Book of Discipline, 2008, ¶654). 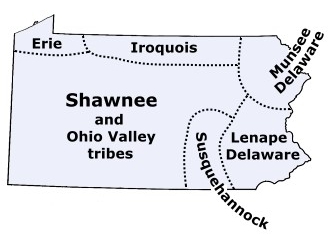 Susquehanna Conference CONAM is a member of the Northeast Jurisdiction Native American Task Force (NEJNAMTF), which is comprised of the Conference CONAM's in the Jurisdiction. The Task Force meets once a year, usually in the Fall, to hear from each other and to learn about resources that are available to the churches, native communities, and native people of our jurisdiction through the United Methodist Church, other faith entities, and secular resources. For more information about NEJNAMTF contact Chairperson Cynthia Kent: kent.cy@live.com.